Has anyone tried the new version of Raisin Bran ? I have and it's not too bad. However I must say I think I like the original brand a little bit better. Maybe because I'm use to the taste of High Fructose corn syrup. 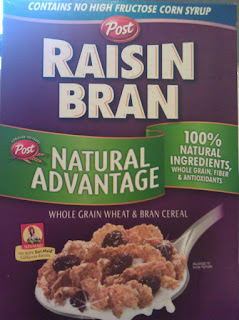 This cereal is more natural than the original Raisin Bran. As a result the taste might have suffered some. , however its sill a good cereal to eat. I picked up this cereal at the local 99cent store ... LOL that's right 99 cent store. Although the cereal cost me about $2.50 and not 99 cents, I wanted to try it anyway because it's more natural than the original version. 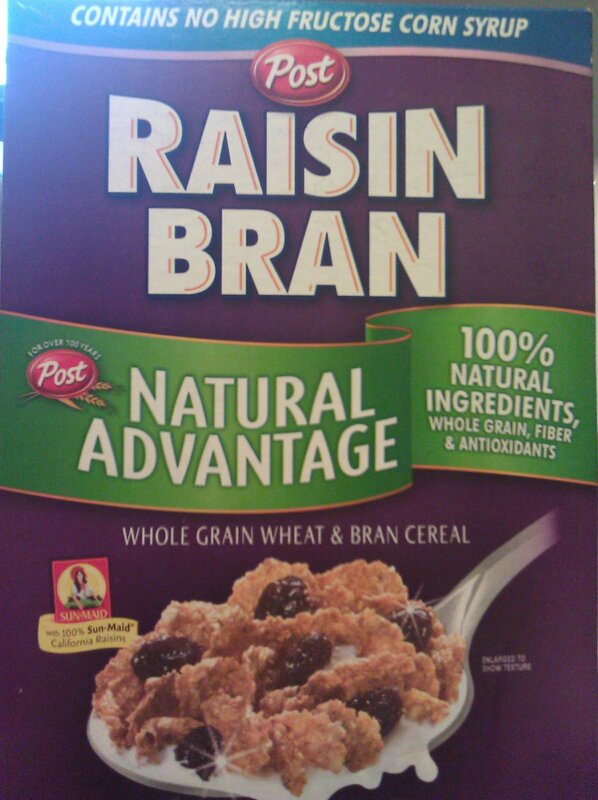 You should be able to find the Natural Advantage Raisin Bran cereal at local grocery. Test it out and let me know what you think. Is this a nice alternative to the original ?